Mitz Lee has been a community leader, coalition builder and neighborhood advocate for nearly three decades. Mitz’ early public service started the same way many others have served. She was a military spouse, a Youth Soccer and Little League Team Mom, a Den Mother, a school classroom volunteer, and a School Parent Volunteer Coordinator. Later, Mitz was elected to the San Diego Unified School District’s Board of Education. Mitz has also served on San Diego City Human Relations Commission. She cofounded several nonprofit organizations and has served on their Board of Directors. 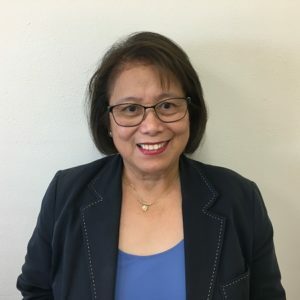 In addition, she is now spearheading two new innovative neighborhood-focused projects as Chairperson of San Diego 6th Council District’s Neighborhoods First Coalition and D6 Night Market. She continues to serve as President and CEO of Alliance for Quality Education. She recently accepted the position of Chair of the Board of Directors of Parents for Quality Education and Asian Pacific American Coalition. Mitz received a Bachelor of Science degree in Business Administration with an emphasis in Economics from the University of the City of Manila and a master’s degree in Business Administration with an emphasis in Financial Management from National University in San Diego. Mitz has made San Diego her home for 33 years with her husband, a U.S. Navy veteran, and their 2 sons. Born and raised in the Midwest Bret Caslavka is a Kinesiologist with over 30 years of experience working with youth and adults of all ages. 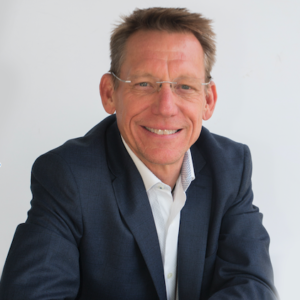 After obtaining a master’s degree in Exercise Science at the University of Nebraska at Kearney in 1987, Bret became an administrator of exercise programs at the world-renowned Pritikin Longevity Center where he worked alongside a variety of healthcare practitioners. In 1989, Bret opened a Wellness studio in Los Angeles providing corporate wellness programs for a variety of companies, as well as personalized instruction within his facility. This was the first type of facility of its kind handling individuals of various fitness levels and brining Independent Contractors into the work force that were not employees. In 1997 Caslavka moved to North San Diego county and in 2002 he opened San Diego’s first Pilates Studio, Pilates Plus San Diego, LLC. that catered to individuals in a group class setting with various physical limitations. That is when his passion for education started. Realizing that schools were being asked to cut Physical Education, Health Education, Music and art he began to lay the groundwork to bring that back to public elementary schools. In 2008 he founded the non-profit Youth to the Core, Inc., a California 501(c)(3) organization to bring Standardized Physical and Health Education to grades K-8. Youth to the Core now works with over 250 students in two public schools and is growing to others. His 30 years’ experience working with youth and his past 10 years teaching a standardized PE curriculum provides experience on many levels. As an outside independent educator, Bret understands the growing concerns parents, educators and school administrators have for school safety and quality education for their children. Being President of Parents for Quality Education brings a voice to the public platform that is focused solely to enhance education for all students of all economic levels in every school in San Diego Unified School District. Helen Quintanilla is a Cash Management Supervisor with a retail company in charge of reconciliation of bank accounts, cash analysis and forecasts, approval and release of cash transfers. Previous to this she worked as an accountant in the banking industry. 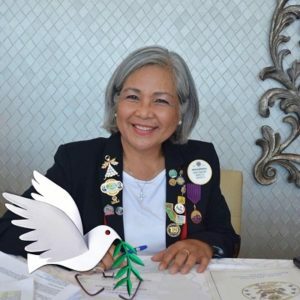 Since 2006, Helen has been an active member of Lions Clubs International, the largest and one of the most effective service club organizations in the world. She has served in leadership positions in her Lions Club and at the district level receiving numerous awards and honors including “Lion of the Year 2008-2009” from her club and was featured in the December 2014 issue of Lions Magazine, “Why It’s Great to be a Lion – in Our Own Words”. Helen currently serves as 4-L6 Cabinet Treasurer (2nd term) and is the Auditor of San Diego Lions Scholarship Foundation, a Frank P Rivera Fellowship. Helen is also a neighborhood leader with Neighborhoods First Coalition in San Diego. Born and raised in the Philippines, Helen earned a BA in Finance from the University of Baguio. Helen and her husband, Medes, reside in San Diego, CA. Their two children attended public schools in San Diego; one child is a college graduate and the other is presently attending college. A native Hawaiian, Tom moved to San Diego in 1975, has 5 children, 3 grandchildren, and is passionate about providing a quality public education for all. Growing up in a blue collar single-income family of 7, Tom is a self-made business leader that worked his way up from plantation worker to become executive and one of the early pioneering leaders during QUALCOMM’s meteoric startup phase from 1989 – 2000. Built on the spirit of innovation and collaboration, QUALCOMM’s technology touches every corner of the world through smartphones and tablets, to smart appliances and the internet of things. As an education leader, Tom co-founded Elevate Elementary, a San Diego public charter school. After serving as Board President for nearly 3 of the school’s first 4 years, Elevate Elementary expanded student enrollment and is recognized as one of the top academic public schools in California, earning distinction as a California Distinguished School in 2018. Tom presently serves as Chief Financial Officer. As a founding member and board president of a public school, Tom knows it takes collaboration and leadership to create success. Within four years his school received distinction as a California Distinguished School with testing well above the state average in Math and Reading. 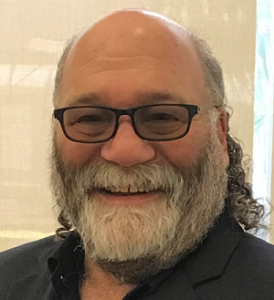 Stephen D. Rosen is currently the Managing Member of OPM-Services, LLC an engineering, business consulting and equipment sales company. Prior to forming OPM, Steve was the founder, CEO and President of TV Magic, Inc., a San Diego based media systems integration Company that served the global broadcast, A/V, multi-media and telecommunications industries with offices in San Diego, Los Angeles, New York, and Mexico. Steve’s extensive television operations background, systemic approach to consulting, engineering, multi-media distribution and systems integration provided consulting services through several major turnkey projects while maintaining customers like CBS, FOX, ABC, Warner Bros., ESPN, Technicolor, JAXA and many Houses of Worship along with several major educational Institutions – to name just a few. Steve has worked on technology that now resides on the International Space Station for JAXA, sold over 100 million dollars of Design/Build contracts and is the lead inventor on three granted/issued USPTO patents. 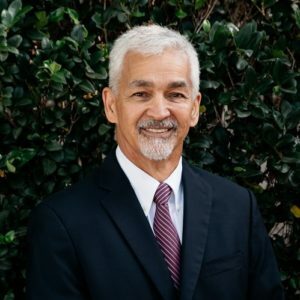 Steve sits on several non-profit Board of Directors serving both education and community, including; Innovations Academy Charter School, United Parents for Education, United Parents for Quality Education. Having honed his project management skills as an organizer for the 1984 Olympics (executive to the Boxing competition at the Sports Arena) and 6 years of undergraduate and graduate study in the sciences (BA and MS degrees awarded), Steve has developed the tools necessary to manage and complete large-scale projects on-time and on budget and understand the complexities of budgeting and fulfillment along with strategic planning. In 2010, Steve ran for San Diego Unified School District Trustee out of Area B. While losing the election he still garnered over 100,000 votes from San Diegans who believed in educational reform and fiscal responsibility. Steve focused on the rapidly deteriorating financial problems of the District, their growing negative impact on children and how to solve the fiscal problems while protecting the teachers. With connections made throughout the educational and business community, Steve stays involved in educational activities for San Diego, California and the US. With now one boy in SDUSD school and a second son in San Diego Community College System (playing baseball) and his family’s involvement in the local community and schools, Steve and his wife Susan have volunteered countless hours to the local schools and community along with cash and goods donations to support those volunteer efforts, running a special program for aluminum can tops for Ronald McDonald house donations throughout Scripps Ranch along with managing local Little League teams from Rookies to pre-high school.